There are many Benefits of having Clean Carpet in your home in Birmingham, AL. Carpet provides warmth and comfort beneath your feet. Most of us don’t want to walk on a cold floor in the morning, and carpet provides a nice softness and warmth to our feet especially during the cold winter months. There is also an even greater benefit to having carpet, as it can help save money during the cold months. Carpet retains warm air longer than other types of flooring so it can keep your home warmer and reduce your heating bills. Along with this money saving benefit, carpet also provides a comfortable place to sit, play or work, as well as giving any room an overall warm feeling. 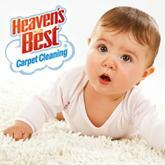 Because we may enjoy sitting on our carpeted floors, it is even more important to keep them clean. Especially if you have small children who are crawling around on the floor, having your carpets professionally cleaned every year will help to ensure they are crawling in a clean safe environment. Along with providing warmth and comfort, carpeting also improves indoor air quality. While the air filter in your heating and cooling unit traps many of the harmful indoor allergens, there are still many allergens that pass through the filter into the indoor air of your home. Carpet acts as a passive air filter, trapping dust, pollen and other particles and removing them from the breathing zone. Studies have shown that people with asthma and allergy problems have seen symptoms improve with carpet. Another benefit to carpeting that you may not have thought of is that it helps prevents slips and falls. It also softens the blow if you do slip or fall. Carpet is ideal for cushioning our footsteps, reducing slips and falls and minimizing injuries when falls do occur. Carpet provides safety protection for the whole family, but especially for toddlers and older individuals. One other great benefit of carpet is that it reduces noise from TVs, stereos and other people in the household. Big screen TVs, speaker phones, computers and modern sound systems make our homes noisy places. Carpet helps absorb some of these sounds. Adding a cushion pad beneath your carpet reduces noise even further. Carpet also works as a sound barrier between floors by helping to block sound transmission to rooms below. And carpet on stairs helps mask the sound of constant foot traffic. Carpet is a major investment in your home and replacing it is costly. With all these great benefits that carpet provides, keeping it clean ensures you are prolonging your investment. Heaven’s Best Carpet & Rug Cleaners can help you protect your investment by professionally cleaning it for you each year. Don’t wait any longer to have your yearly cleaning, so you can continue to enjoy these great benefits of clean carpet at your home in Birmingham, AL. Call Heaven’s Best today at (205) 618-9150 to schedule.